Without attic insulation, fluctuating weather conditions can lead to an unstable indoor ambiance even with the best roof money can buy. Such a problem can lead to other issues as well, including excessive humidity, that, in turn, leads to the proliferation of mold and increased energy consumption. In this post, Innovative Roofing and Siding, Inc., one of the most well-versed roof replacement experts in the area, discusses a few ways to keep your attic insulation working great. Determining the type of insulation you need is nearly half the battle, as different homes and climates require varying types of insulation. 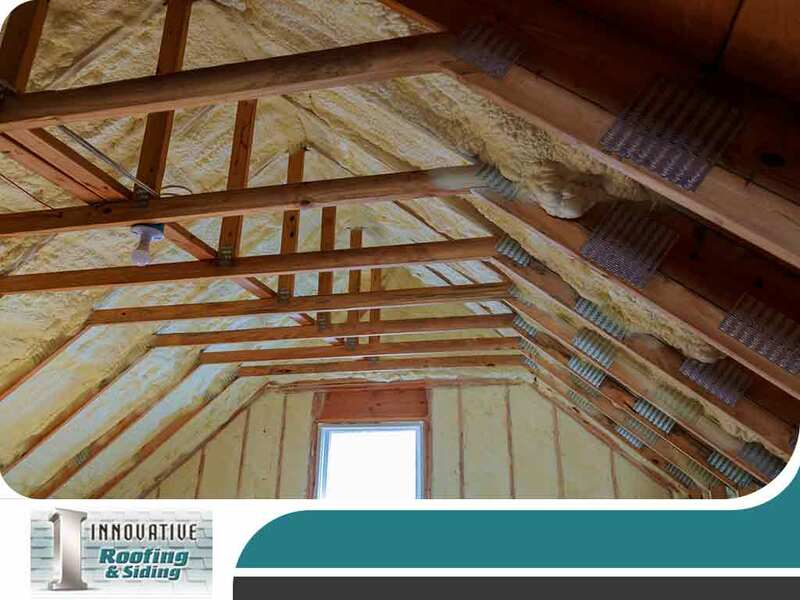 Blanket insulation, also referred to as roll or batt insulation, utilizes pre-cut rock wools or fiberglass in easy installation in attic floor joists. Another type is the loose-fill insulation, ideal for attics with many hard-to-reach places or those with pipes or wires. Meanwhile, rigid foam insulation offers high R-value, or resistance to heat transfer, best used in walls. Finally, foam-in-place insulation can reduce air leaks on your attic’s surfaces. Leaks are some of the worst enemies of not only insulation but your roof as well. They render insulation’s pockets that trap air useless. Wet insulation also makes a typical attic insulation “clump” together, which makes it ineffective and a breeding ground for all kinds of vermin. We recommend calling our roof leak repair experts to perform an inspection of your attic insulation and check for signs of leaks. Our years of experience have helped us become the area’s premier roofing contractor and, most importantly, the trust of homeowners in Tennessee. This also helped us gain the trust of many homeowners and even GAF itself, giving us the GAF Master Elite® certification. We have the best and brightest in the field, all geared toward giving you the best and most efficient insulation and its installation for your attic. When you’re searching for a “roofing contractor near me” on Google, look no further. Call Innovative Roofing and Siding, Inc. at (865) 444-6070. We provide roofing and insulation services in Knoxville, TN, and nearby areas.